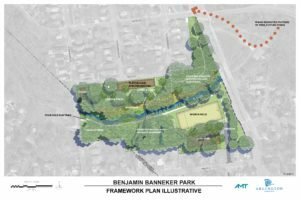 ALERT: Arlington County contractors will be treating Lesser Celandine and other target invasive plant species along Four Mile Run in Benjamin Banneker Park. Depending on weather conditions, treatment is expected to begin Wed., March 13. Areas treated with herbicide will have signs posted to notify park users. Questions? 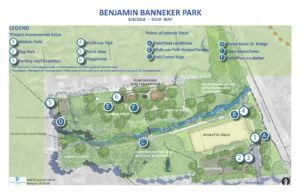 Contact Sarah Archer at 703-228-1862. 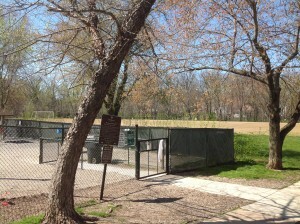 Capital Maintenance replacement/renovations of existing park amenities, which include parking, circulation, dog park, athletic field and playground. 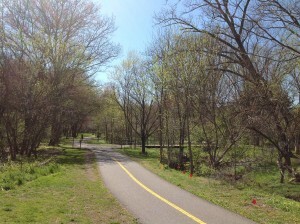 Redesign and construct the segment of the Four Mile Run and W&OD multi-purpose trail that runs through the park. 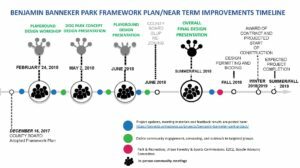 Development of overall park concepts to provide long-term planning guidance for the most recently acquired parcels along 18th Street North for incorporation into the park and related future improvements. 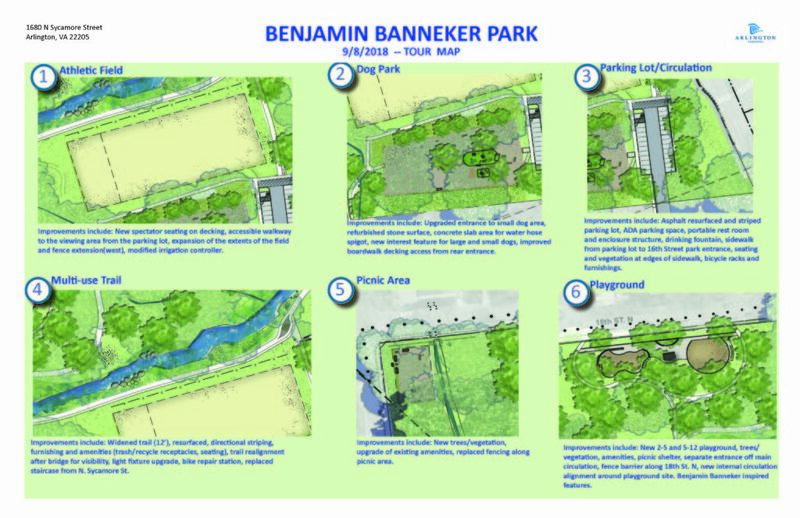 On September 8 an Overall Final Design walking presentation was held at Benjamin Banneker Park . 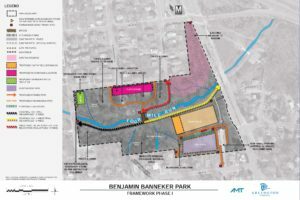 Participants viewed several boards and illustrations while staff provided onsite context for proposed improvements in the areas of the parking lot, dog park, trail connections, playground and boundary marker areas. 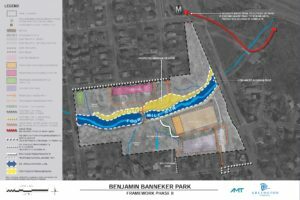 Images shared at the meeting can be viewed here or in the image gallery. 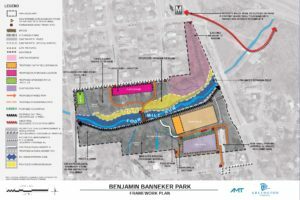 On June 14 a Playground Design Meeting was held to discuss latest concept design. Participants viewed several image boards and shared thoughts on materials, layout, and accessibility. 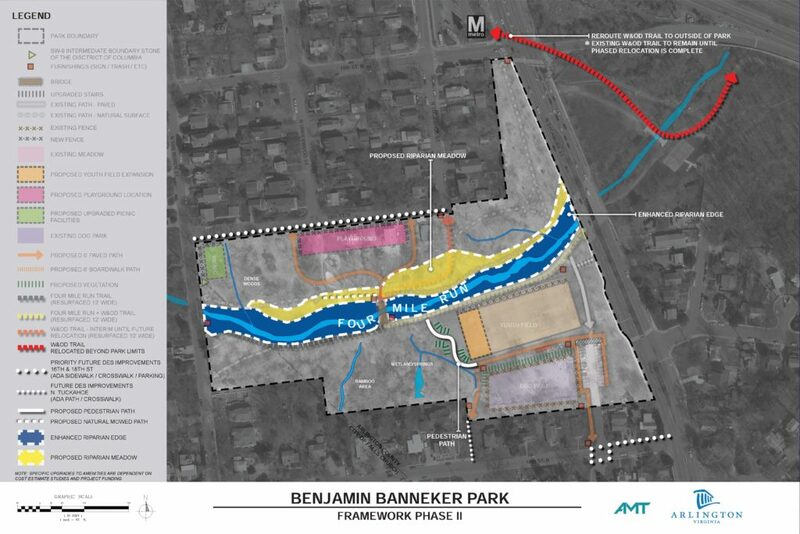 Images shared at the meeting can be viewed here . 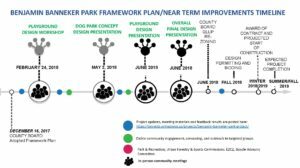 On May 2, 2018 staff held a dog park concept design meeting where a concept design and feature options were shared. Participants reviewed the concept design and turf selection. Participants also provided input on park features. 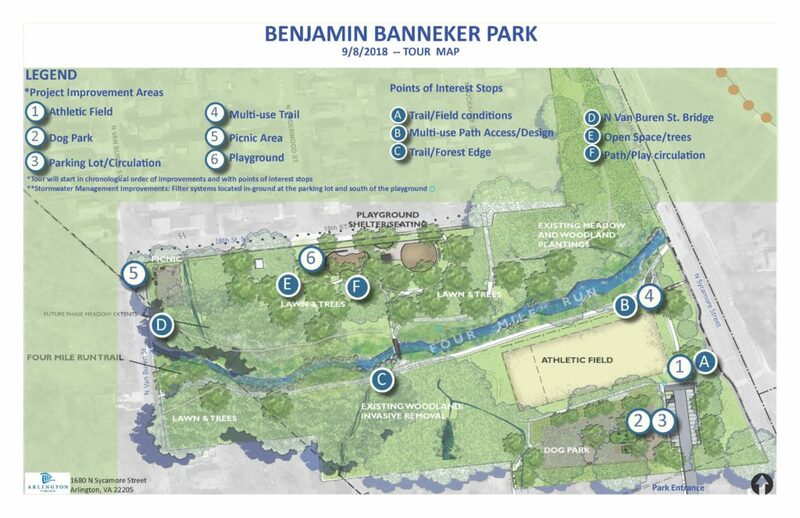 Concept and features images are available in the image gallery. 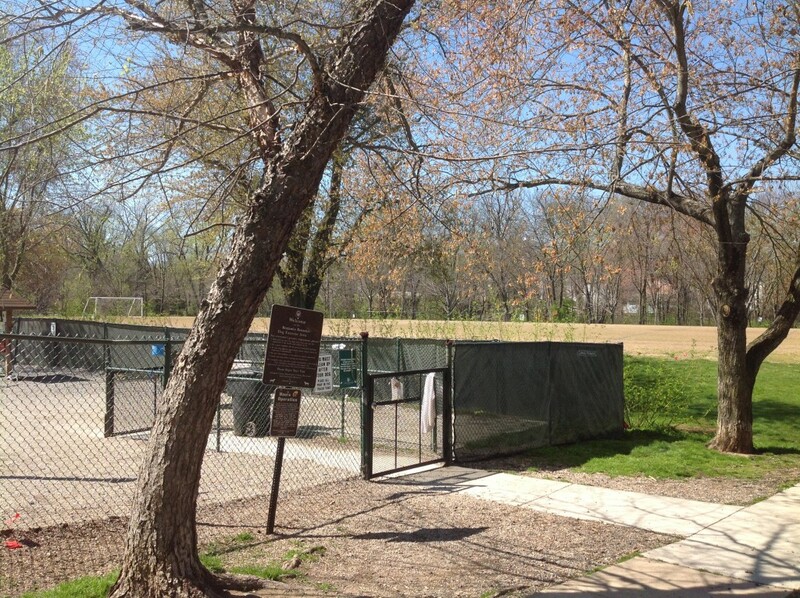 An online feedback loop that includes the concept design and features is available here. 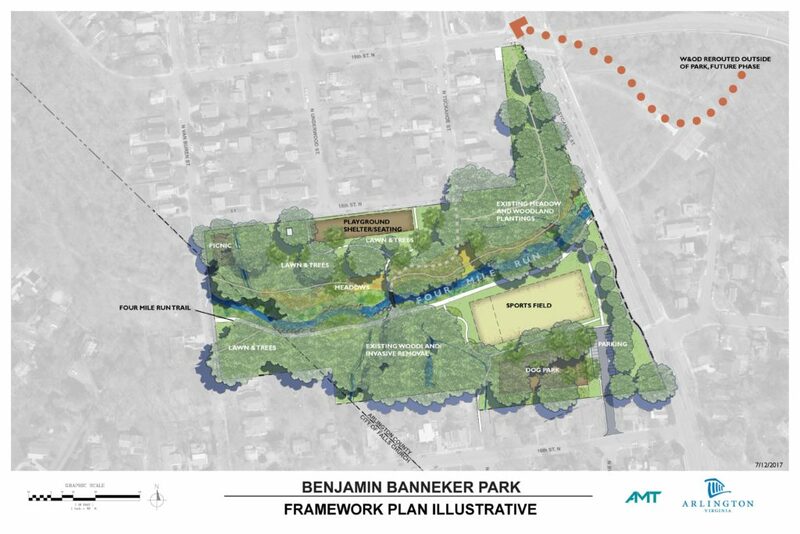 On February 24, 2018, staff led an interactive design workshop that focused on gathering input for improvements to the Benjamin Banneker Park playground. 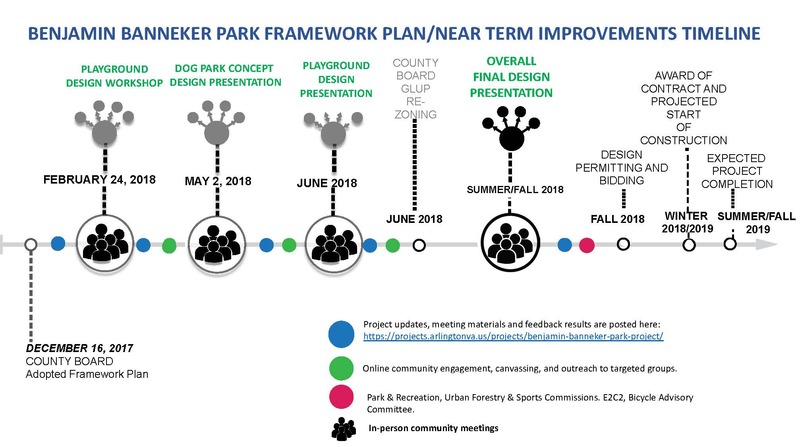 During the workshop, participants looked at overall playground use, themes for consideration and offered input on play equipment and user experiences. 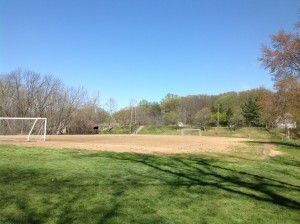 Comments and suggestions will be used to inform the next stage in the playground design. 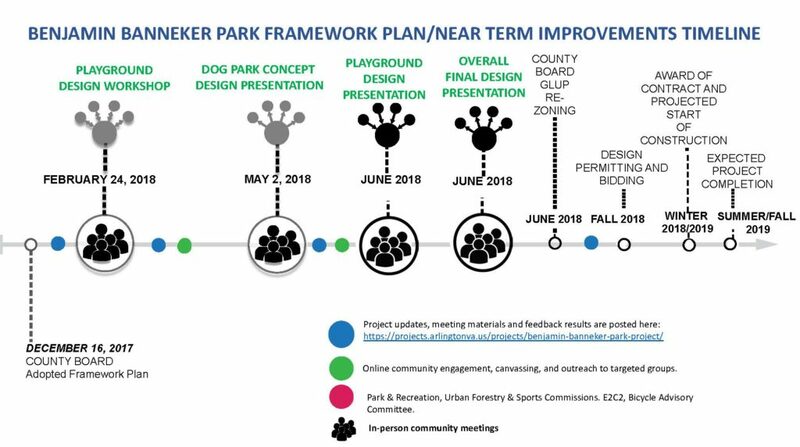 A slide presentation, shown at the meeting can be viewed here. 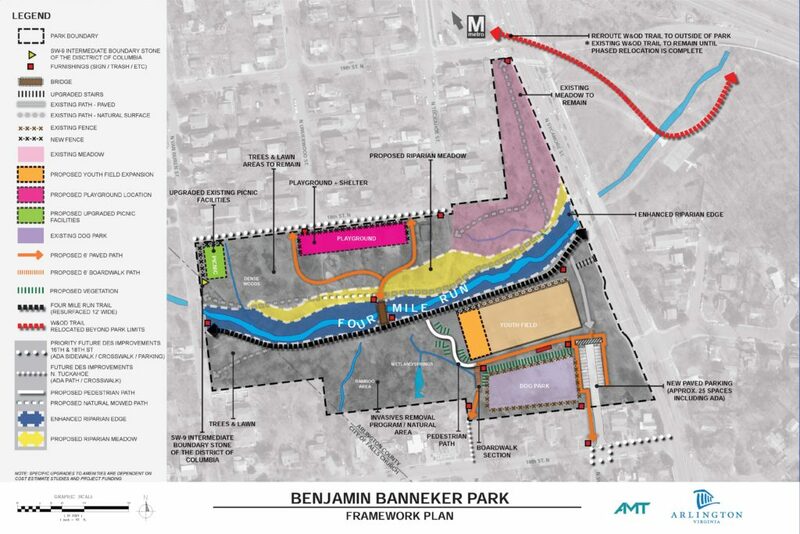 View the adopted framework plan report. Or you can download a PDF version of the report. 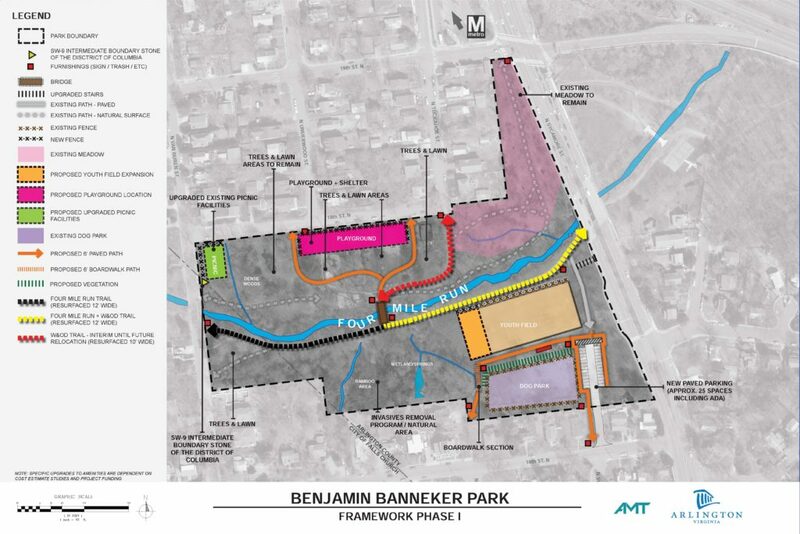 The plan provides a long-term strategy for improvements to Benjamin Banneker Park.